While fresh content is always best, we don’t always have time to write new posts. 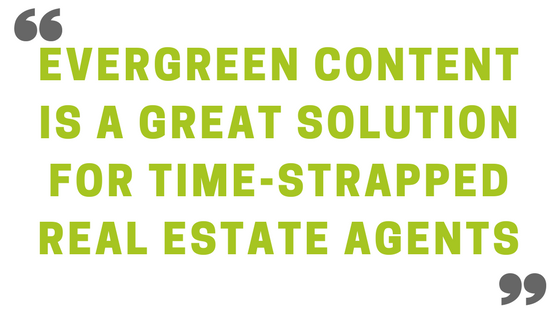 Evergreen content is always a great solution for time-strapped real estate agents - and resharing your evergreen content is not a spammy tactic when it is done responsibly. We’ll get to how to do that in a minute. 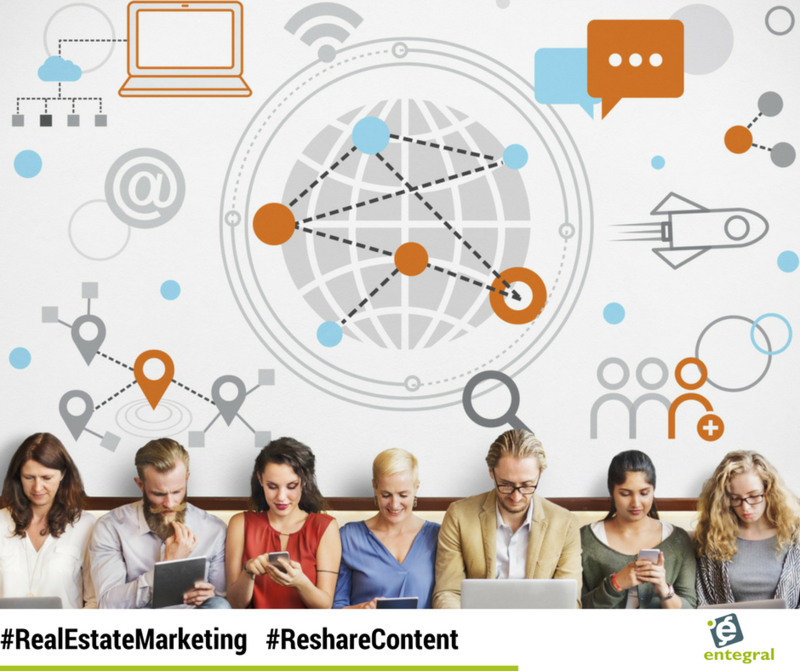 Resharing does two things for you - firstly it gets your content in front of the readers that need the info you are supplying, and secondly, it helps free-up your time to either follow-up on leads or answers those social interactions that you don’t always have time for. However, the most important part of resharing your content (when done right!) is that it is good for your SEO. Truth is that the more interactions you have on content from social media, the better your real estate website looks to search engines. Simply resharing will help your SEO, however, there are some other strategies you can apply to further improve your reach. We take a look at some below. 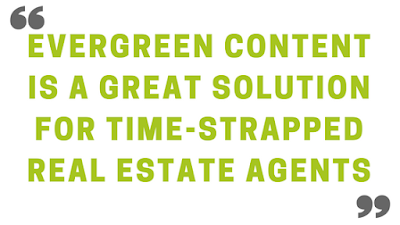 In real estate a lot can change from one year to the next and spice up old articles to match the new set of market trends or area amenities will not only help you with SEO but it can be done without having to rewrite a new piece of copy from scratch! Go through your posts and identify which evergreen posts have performed the best over time or which had awesome organic traffic, make a list and do a content audit and start sharing! The uncomfortable truth about the internet is that not everyone sees your posts in the first place - and experimenting with different audiences on different social media channels will help your content reach a whole new set of eyes. Think about it - are the people that follow you on Facebook the same as the ones on Twitter? Chances are that they aren’t and if you reshare your content after giving it an update on a different channel than you did before will give a different audience to see it. It also helps to change the way you present the content - pull a statistic your post or highlight a particular piece of information that gets people excited. It can be as easy as changing up the descriptions of your posts or just using different images. There’s so much to test and try out — all using the same post. Facebook allows you to schedule posts on your business page and it can help you free up some time to create quality fresh content instead of being busy with something that could have been scheduled in advance. When you have some time sit down and choose one piece of evergreen content to reshare, schedule it for a time and forget about it! It is really as easy as that!